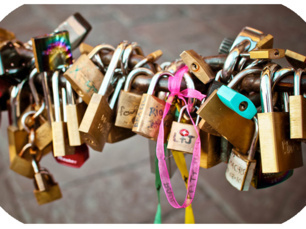 Travel Tuesday: Queen’s Day, Holland. This year, Queen's Day will witness celebrations like no other as Queen Beatrix abdicates the throne to her son, Willem Alexander. 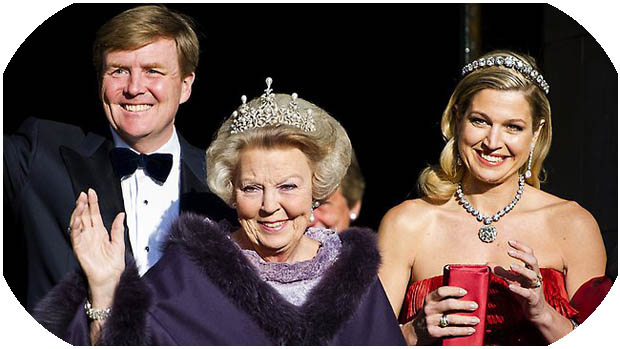 Early this year, Queen Beatrix of Holland announced that after 33 years she would abdicate the throne. 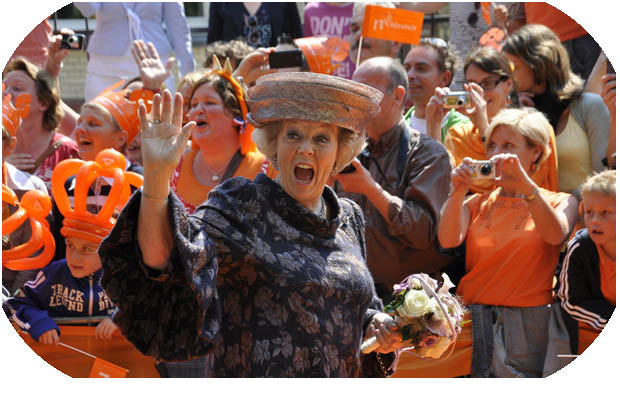 Despite her enormous popularity the 75 year old Queen is following in her mothers and grandmothers footsteps by abdicating on the national holiday, Queen's day. She will be passing the throne to her son Crown Prince Willem-Alexander who will be the first king in 122 years. Amsterdam, already known for its street parties and orange costume on the national holiday, is bracing itself for the biggest party in living memory. 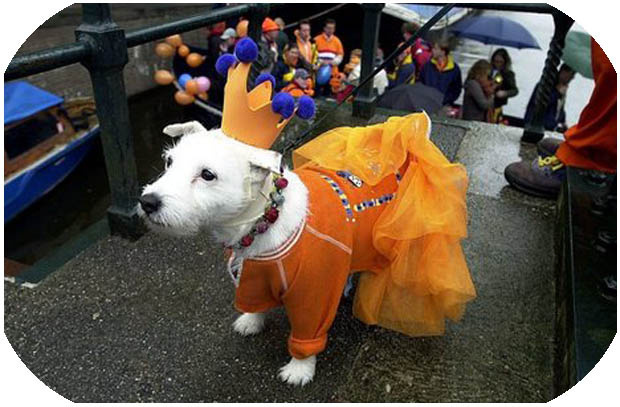 Traditionally Queen's day, or Koninginnedag as it's known in Holland, attracts up to 800,000 visitors, well-wishers and party goers alike to indulge in Amsterdam's open air fun. In the streets, canals, parks and everywhere in between is covered in live music, parties and a sea of revelers dressed in orange. 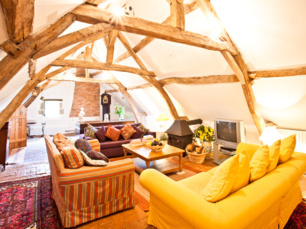 This colour theme can be seen sprawled across the city (and in drinks) in honour of the House of Orange-Nassau that rules over Holland and has been dubbed; 'Orange Madness'. During the festivities, the 'Vrijmarkt' or free market is the only time when the Dutch government permits residents to sell their goods on the street without a permit or payment. ING bank found in 2011 that one in five Dutch residents planned to sell at the Vrijmarkt and estimated they would earn €100 per person for a total turnover of €290 million! 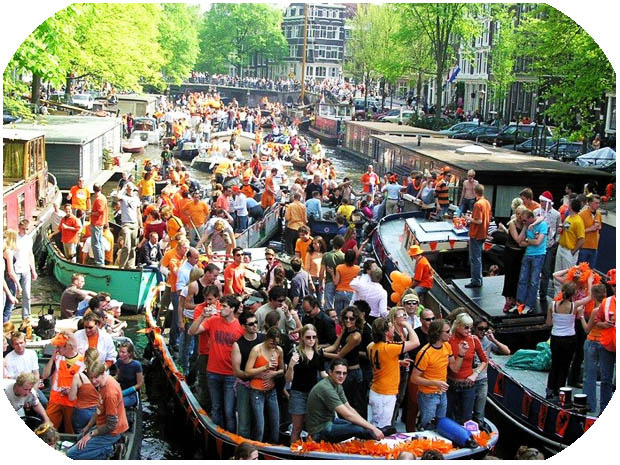 The celebrations through Holland are not to be missed but it is Amsterdam's 750,000 residence and 1 million visitors that party like no other through the city and canals! Click here for more information about Koninginnedag.